Applicants desire to apply should send application through www.ebl.com.bd/career by July 20, 2017. 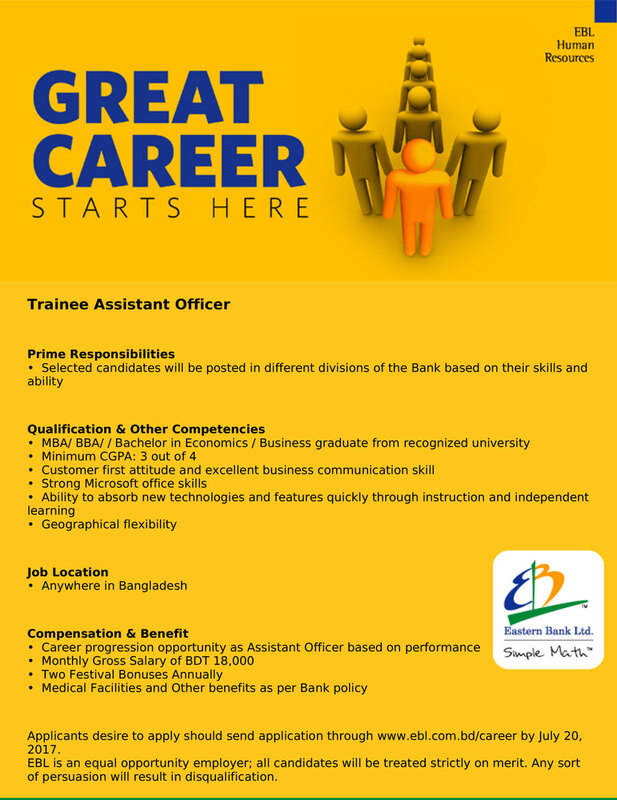 EBL is an equal opportunity employer; all candidates will be treated strictly on merit. Any sort of persuasion will result in disqualification.